HOW do you disguise one of Australian TV's most-loved duos? 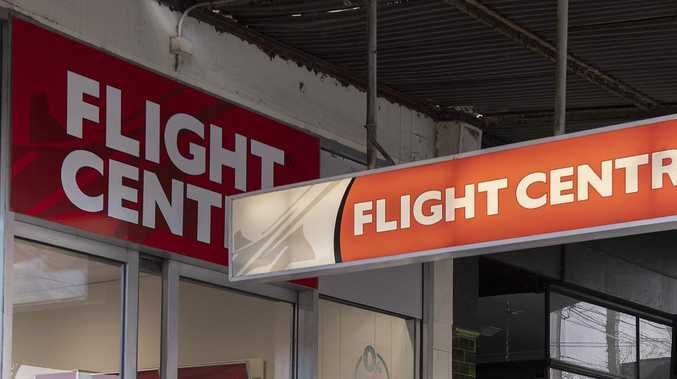 That's a challenge the team behind Ten's new variety show Sunday Night Takeaway will have to solve. 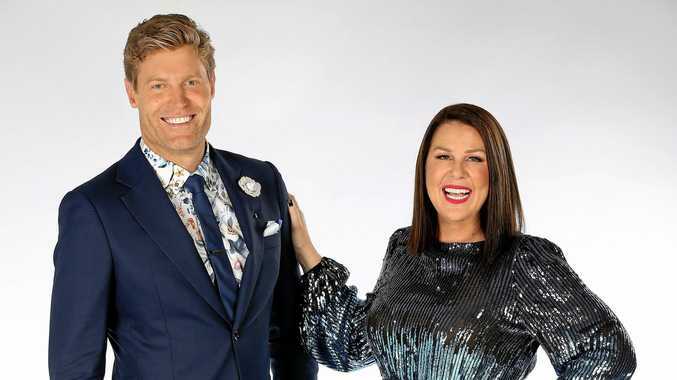 Fresh off the plane from South Africa, where they've been hosting the latest season of I'm A Celebrity... Get Me Out of Here!, Chris Brown and Julia Morris will be playing dress-up in a series of undercover pranks. 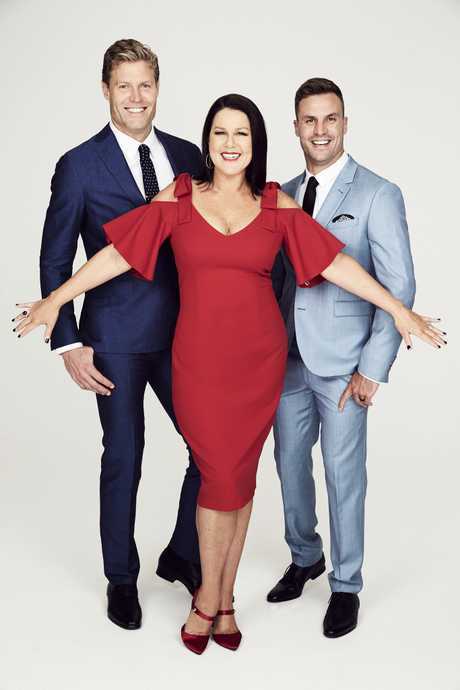 "The humour alone of trying to disguise me, who's 6'5 with an oversized jaw, and Julia, who has one of the most distinctive laughs in the country, will be entertaining," Brown tells The Guide. "We have a lot of contingencies in place to disguise the known elements of us. We're quietly confident we can pull this off. "But it feels like the karma train has come to get us. We have been sitting in our tree house (on I'm A Celebrity) feeling very good about ourselves for four or five years now." Based on the blueprint of the popular British series Saturday Night Takeaway, hosted by I'm A Celebrity UK's Ant and Dec, the 90-minute variety show features a mix of sketches, pranks, quizzes, live music and prize giveaways. "It's a show we can't believe hasn't been on Australian TV before," Brown says. "It's such a huge hit overseas and such a special format. We're pinching ourselves. It's the sort of show I would watch on a Sunday night." The odd couple has been working with Pete Ogden, executive producer of the UK series, to craft the Australian version, which has some key differences. There's the name for starters, which reflects the Aussie tradition of staying in with the family on a Sunday night. "The UK audiences do respond in a very different way to sincerity and to things being earnest," Morris says. "Whereas in Australia we're a little bit more cynical. This show is not about hey, aren't we amazing bringing gifts to the people. It's more if you make me laugh then I'm going to give you something." The duo, with the help of roving presenter and mischief-maker Beau Ryan, hope to add their own flavour to a proven formula. "Our energy is different and the way we interact is very different," Brown says. "Whilst we love Ant and Dec deeply, we don't watch a lot of what they do. We don't try to copy. We just do it the way we want to do it. "We want to make sure it feels very Australian, shining a light on the right people, getting into that sense of humour and ending the weekend on a high." Sunday Night Takeaway premieres on Sunday at 7.30pm on Ten.